LEADING politicians, including Tony Benn and Ken Livingstone, paid tribute this week to Brian Morrell – husband of Labour party veteran Frances – who has been found dead outside his home in Islington. An inquest was opened for Mr Morrell, 73, a retired teacher, who died of multiple injuries after falling into the courtyard from a rear window at his home in Hemmingford Road. Former schoolteacher Frances, who led the London Education Authority during the mid-1980s, was unavailable to comment. 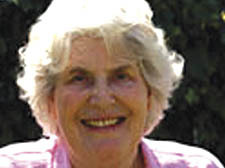 She was MP Tony Benn’s political adviser in 1974 when he was Minister for Energy in a Labour government. Former London mayor Ken Livingstone supported Mrs Morrell’s successful bid to win Islington South and Finsbury in the old Greater London Council elections in 1981. “My heart goes out to Frances at this time,” he said. Mr Morrell was a patient at the Camden and Islington Mental Foundation Health Trust. The inquest heard that he had developed depression and was admitted into care in January this year but was sent home. A mental health worker was visiting him once a week. The inquest was adjourned until June 11.